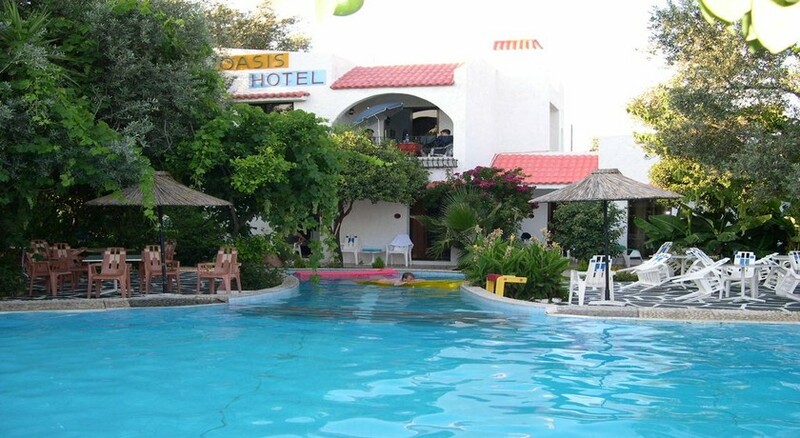 Situated on the captivating east coast of Rhodes, the Oasis Hotel is 800 metres from the beautiful beach of Afandou. The charming town of Afandou is a little off the beaten track and lies about a mile from the hotel. The lively resorts of Faliraki and Kolymbia are three, and four miles away respectively, and are well worth a visit should you want a bit more action. The attractive Oasis Hotel is made up of traditionally styled bungalows set in a beautiful garden area full of flowers and banana and palm trees. In a quiet corner of the gardens guests will find a small zoo for children that is home to ostriches, kangaroos, sheep and goats and many species of birds. 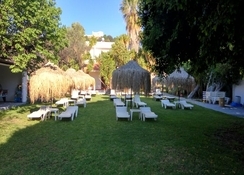 Hotel facilities include a restaurant, shop, bar with satellite TV, swimming pool with children''s pool and poolside bar as well as a children''s play area and a special ''pets corner'' bird and animal garden. Further services include safe deposit boxes (local charge), mini-market and baby sitting on request (local charge). The Oasis Hotel and Bungalows offers intimate, bungalow-style buildings styled in the local island tradition and set out in an extensive natural location. 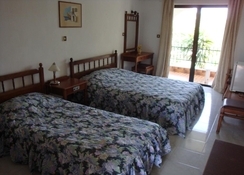 There is a choice of twin (or triple) rooms and apartments, and family rooms in double buildings, for 4-5 guests. Consisting of twins, family rooms and apartments. All come equipped with en-suite bathroom, hairdryer, satellite TV, fridge and air conditioning (chargeable). Half Board: Half board means buffet breakfast and buffet/set menu dinner and are to be taken in the main buffet restaurant. 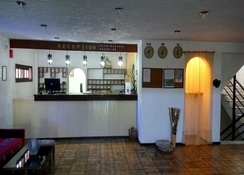 The hotel is situated 800m from the beach, 1km from Afandou town centre and 1km from the golf course. Faliraki is 5km away, Kolymbia 6km, Rhodes Town 20km and the airport about 23km. 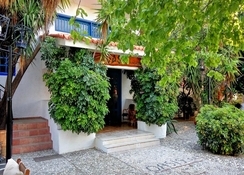 Old fashioned traditional authentic Greek hotel.